As you consider the possibility of celebrating your wedding at Our Lady of Perpetual Help Church, you will want to consider these guidelines. If you have any questions, you are welcome to call us at (304) 623-2334. Faithfully in Christ, The Priest of Our Lady of Perpetual Help. Engaged couples planning to be married at Our Lady of Perpetual Help should make contact with the priest at least SIX MONTHS in advance. To ensure a particular date, at least a year in advance of their preferred date is advised. Definite plans for this date should not be made until such contact has been made. Marriages are celebrated on Friday evenings and at 11:30 am and/or 2:00 pm on Saturday. Couples planning to get married must contact the parish office at least 6 months in advance. You will need to meet with Father Kent prior to taking Pre-Cana or the Weekend for Engaged Couples. Please contact the Parish Office for an appointment. Pre-Cana or Weekend training can be scheduled with the Diocese at WVMarriage.org. Often individuals are not fully participating in the life of the church because of divorce and remarriage. Others, civilly divorced, have questions regarding the previous marriage. 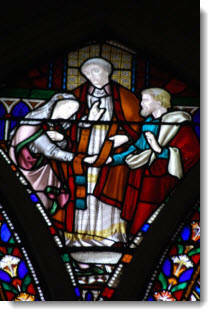 The parish priest would happily meet with you to discuss the status and possibilities of these particular situations. Link to the Diocese of Wheeling-Charleston website.